Color is the first thing we notice about a home. Does your color make you happy every time you walk in the door? Photo: Benjamin Moore. Color is pretty much my life. I live with a fan deck in my hand and I constantly pull it out wherever I go to match colors, to plan a color palette or just because I see a color or a fabric that I want for a client. 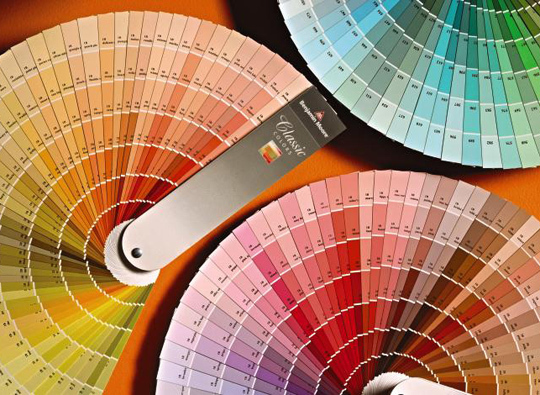 As a Fort Myers interior decorator, I do more color consultations than any other design service. And there is one big reason for that: Color is the most difficult challenge for most homeowners. Get it right and the results are pure joy. Get it wrong and you will always feel like something is off in your home. And it is. Really off. If the color is not right, nothing else matters. Trust me on this. Color is the first thing we notice about a home. Does your color make you happy every time you walk in the door? Having the right color palette in your home is the difference between a happy home and one that says "hope you can live with me." So many colors! How do you select the right ones? Photo: Benjamin Moore. And it's not easy. It can be daunting. Color just plain stumps most people. So, if you are one of those people, and most of you are, I have a few tips to consider when selecting color. Follow these tips and you will be ready to take the plunge. Or not. You may also be ready to call in a professional who can help you sort it all out and remove the stress. After all, color creates a happy home and process should be fun. Here we go with my favorite "don'ts." Don’t ask a painter or a paint store to help you select color. They sell paint. Not color. They are not decorators or designers. They are painters who put paint on the wall or paint sellers. Simply put, they know how to paint a house and can tell you the best kind of paint to use but they just don't know how to select color. Don’t select a color from one of those itsy bitsy fan deck samples or tiny swatches. You must (and this is non-negotiable) test the color by painting a large area or a foam core board. Don't just throw the paint on the wall and make a decision. I insist that my clients "live" with the test color for a few days. Light changes throughout the day and is different in each room and that must be taken into consideration. Color palette from the Benjamin Moore Williamsburg Collection. Make a plan for the room (or house) before you look at color. You have to start somewhere when designing an empty room and that should not be with the paint color. Select furnishings, fabric, counter tops and other finishesand even a few accessories and THEN look at color. I have clients who call and ask me to have an entire new home painted by next week before they select furniture. You may love that pretty coral paint but what happens when you fall in love with a sofa that doesn't relate to the color? Answer: you have to repaint. We want to avoid that costly mistake! If you want coral, accessories may be the best way to go. Forget this rule. It's just not true. I don't know who started it but painting small spaces a dark color does NOT make the room look smaller. My favorite: powder rooms done in dark hues. It's fun to break decorating rules but this is one I never stray from: when selecting a color palette, follow nature as your guide. Mother Nature has perfected the color palette soimitate her. This is a rule I always follow. If it's not a color found in nature, forget it. Stick with two or three (at the most colors for your home. The result: Beautiful and restful. You can add more color with accessories. Don't try to put all of your color on the walls. Tip: the right pillows will change any room! Connect your rooms. Don't make each room a completely different color. You want to have a plan so the house makes sense. An idea my clients seem to like: paint all of the main rooms (living room, entry, kitchen) a neutral shade. Use color in the bathrooms, bedrooms and den. I also like to paint the master bedroom and bath in coordinated shades to give it a hotel/master suite feeling. One current trend that I love and encourage my clients to try: No more white ceilings! Check out the decorating magazines. We are now using color on the ceilings or a cream shade. No more super white. 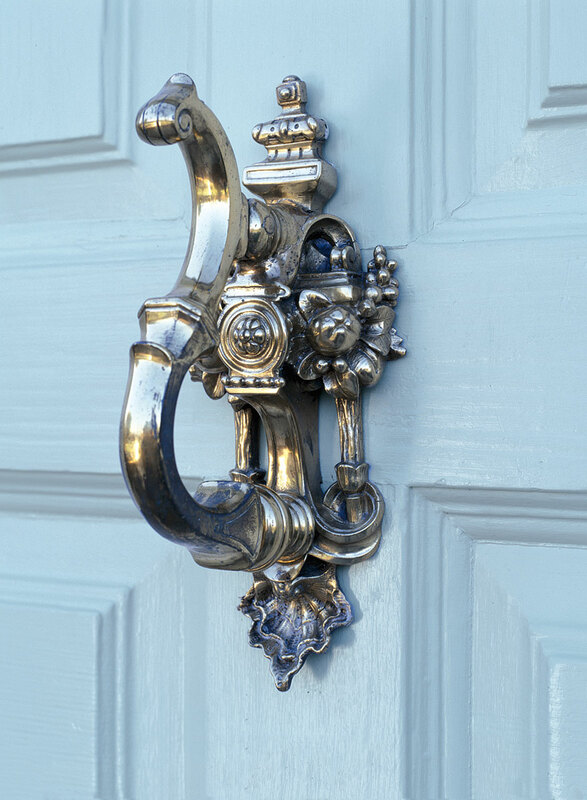 My latest color crush: Boca Raton Blue by Benjamin Moore. I can't think of a room that shouldn't have a little of this color. At least paint a front door (on both sides) or an entry ceiling. Consider undertones. All color is not created equal. Look at the number of whites that you can select from on a fan deck. The reason a color works or does not work: undertones. When in doubt, go neutral. This never fails. Neutral walls with stronger hues in fabric and accessories. And if you really have doubts and don't know where to start, call a professional. They will help you nail it.